The Freshwater Factory or Evolo is a water-generating skyscraper in Almeria, located along the Mediterranean coast in the south-eastern region of Spain. 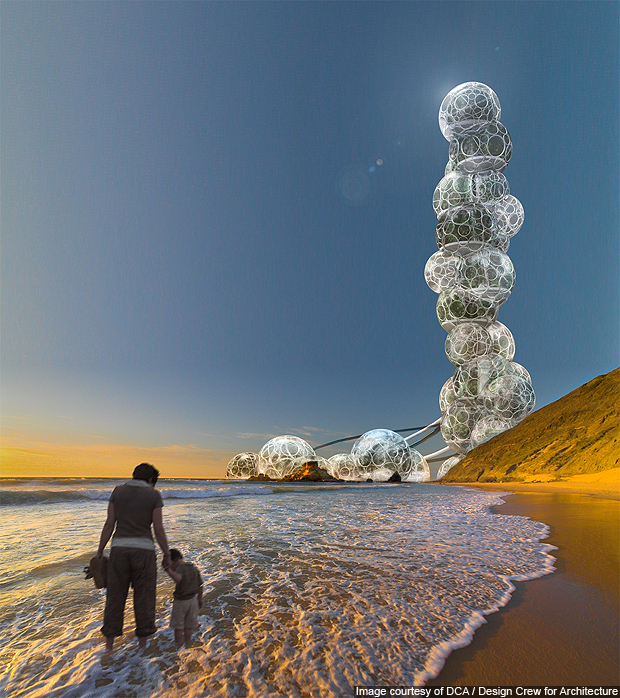 The Freshwater tower is assembled from bubble-shaped structures designed to desalinate the brackish water from the Mediterranean Sea into freshwater. It is a 280m-tall structure with several circular tanks. These are arranged vertically to reduce space density. The tanks, in turn, are housed in spherical greenhouses. The tanks are filled with brackish water and mangroves are planted in them. 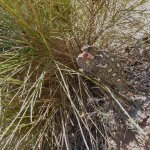 Mangroves grow in brackish water and also have the attribute of sweating freshwater. Sea water is brought up and pumped to all the tanks in the skyscraper through tidal energy powered pumps. The water is distributed throughout the tanks using a water pipe network. The mangroves thus draw the brackish water, while perspiring freshwater from their leaves. The perspired freshwater evaporates into the spherical greenhouses. The vapour then condensates into dew and accumulates on the spherical plastic wall of the greenhouse by night. The freshwater is then collected into storage tanks. The storage tanks are located at a higher altitude, which allows direct distribution of the freshwater to the nearby farm land via gravity. The Freshwater Factory has a total surface area of 1ha available for cultivation of the mangroves. The area enables plantations in the tower to produce about 30,000l of freshwater every day, this amount of freshwater is sufficient for irrigation of 1ha of tomato field a day. 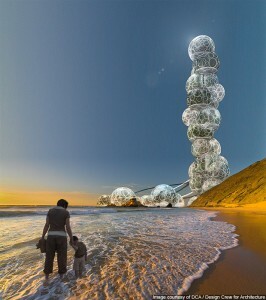 It’s a fascinating concept, but sadly only a design concept for the Evolo 2010 Skyscraper Competition. But… could you imagine? This entry was posted in Blog and tagged design, evolo, fresh water, skyscraper by David. Bookmark the permalink.